NO MORE SORREL, BROWN OR BAY FOALS!!! If you looked up "Way Cool" in the horsey dictionary...we're just sure a pic of this stud would be there. :-) Who is he?....It's the FIRST foal by Classic Style Gold born at Eagle Ridge Farm!!! 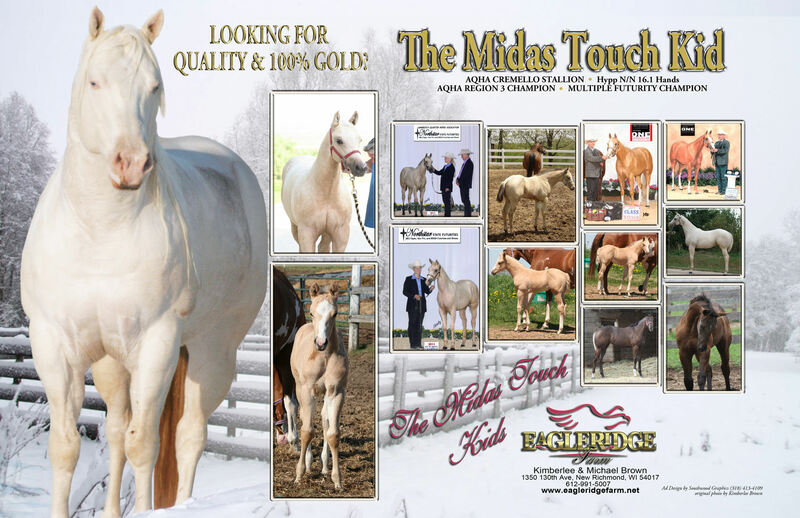 Appropriately named..."The Midas Touch Kid" ('cause everything he touchs will turn to Gold)!! He's pretty headed, little fox ears, with his Sire's loooooooooong elegant neck, powerful chest & forearm, short back, incredible topline and a BIG ol' Hip with lots of carrydown, popping gaskins and good hocks. He stands over 16h. His Dam is a HUGE, 16h, Res. 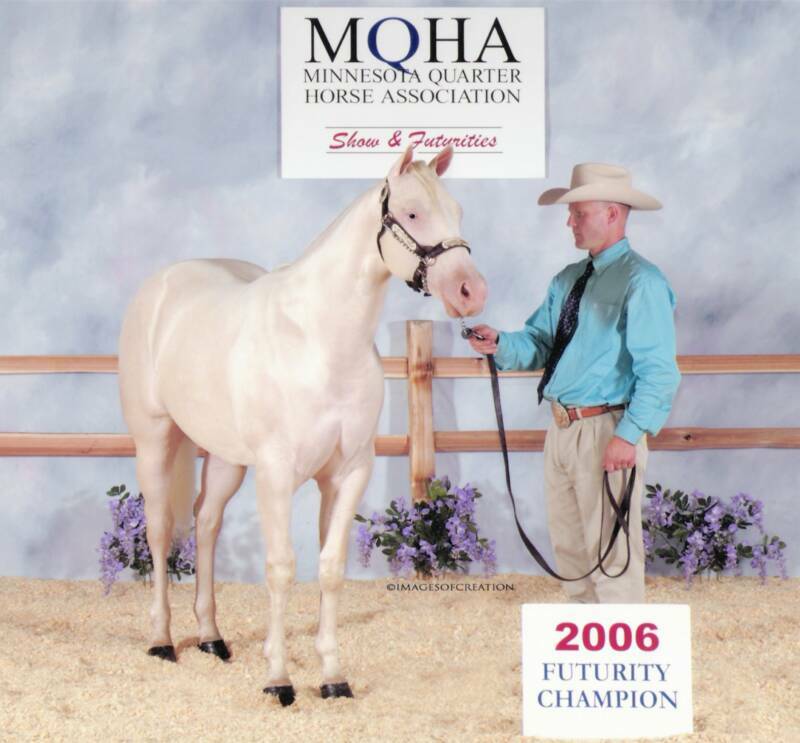 World Champion/Multiple Futurity Champion producing Palomino mare, PrimeTime Plus. And he's CREMELLO! 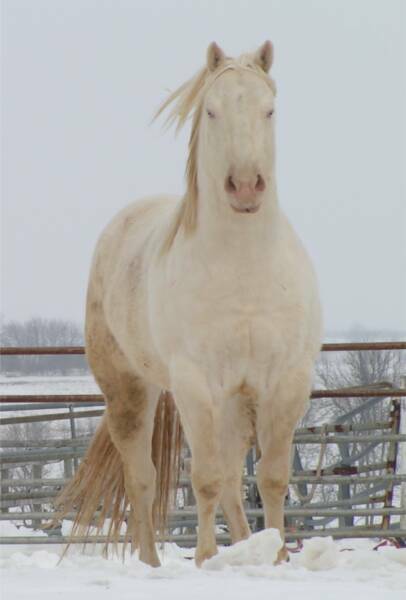 We've been breeding for a WORLD Quality Cremello colt for 9 years and here he is!! 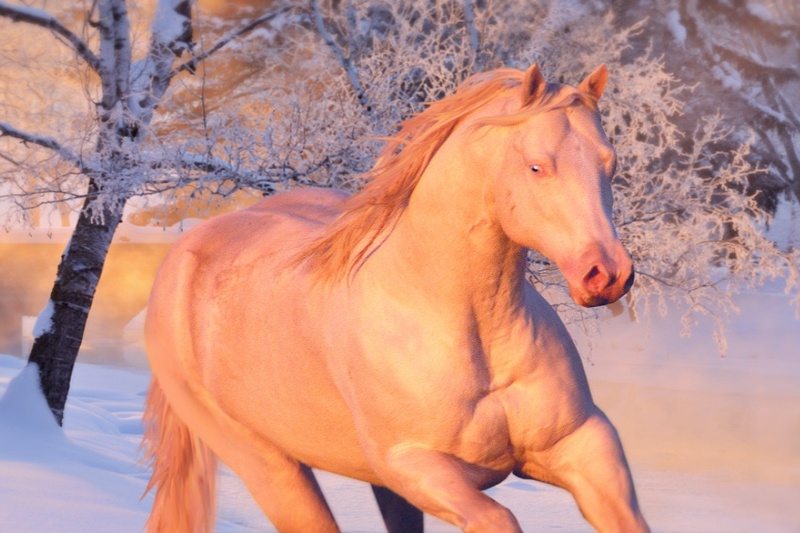 FINALLY, the Ultra High quality you'd demand in a sorrel stud prospect but with the BONUS of a 100% dilute (Palomino, Buckskin, Cream, black, dilutes) guarantee. 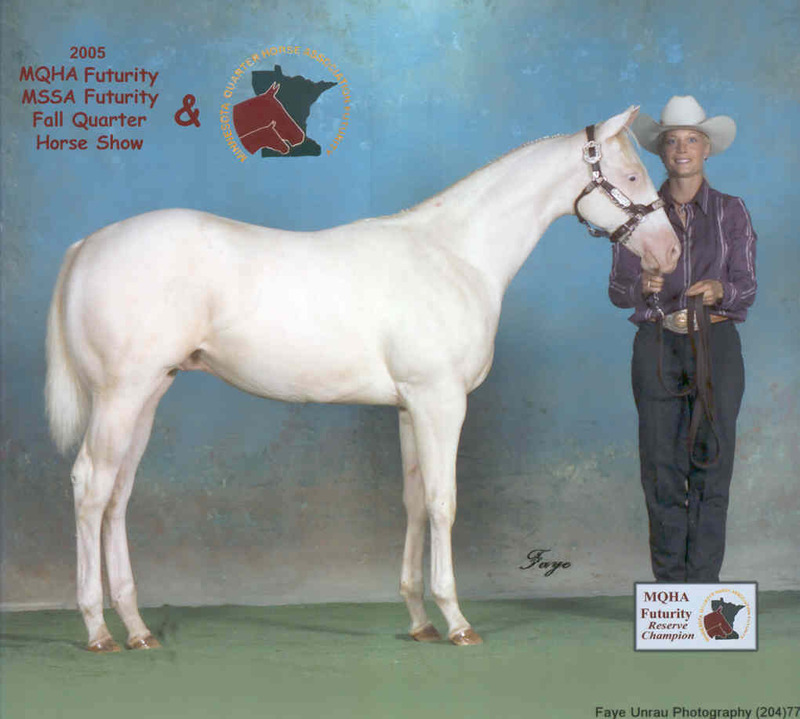 AQHA I.F., Hypp N/N. 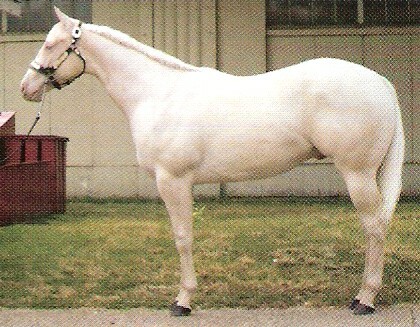 World Class quality, excellent pedigree, cremello (guarantee of Paly, Buckskin, Dilute foals), 16h++ and NN. As such, he will be campaigned & shown & will stand to a limited amount of select mares. 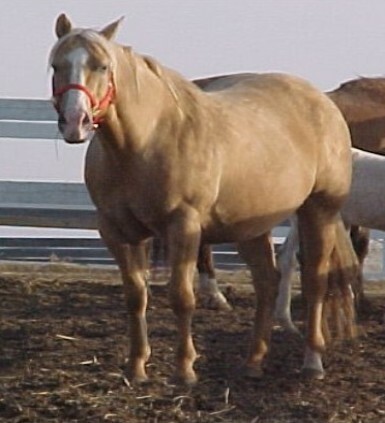 Primetime Plus, 1992 AQHA/PHBA 16h Palomino mare. 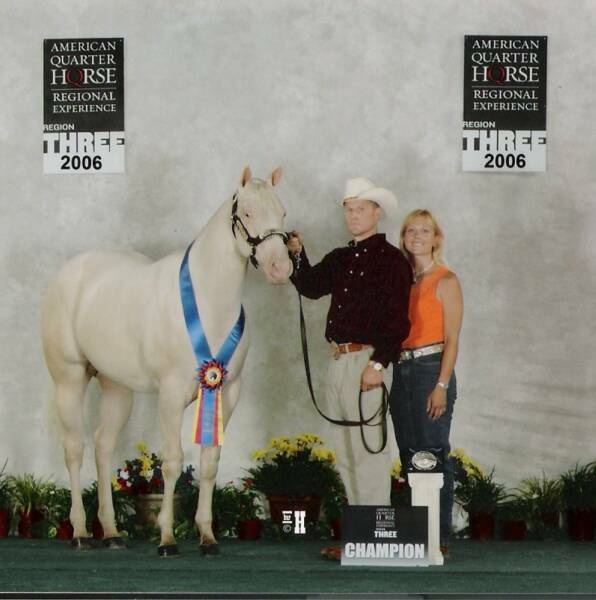 "Boogie" as she is known at the barn, was an awesome show mare earning 225 PHBA pts as well as AQHA Halter pts. 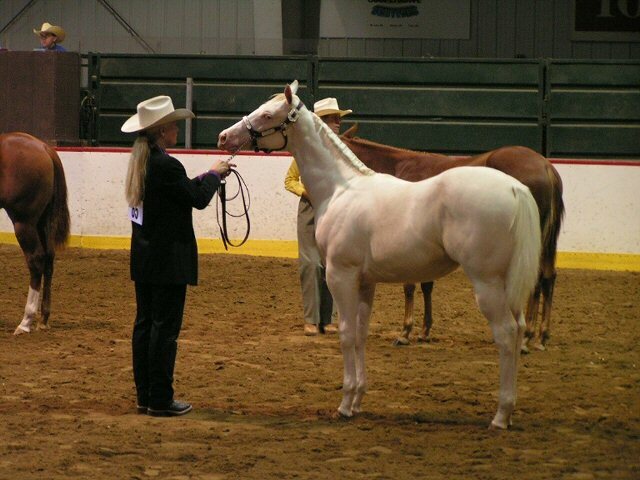 She was 3rd at the PHBA World Show. "Boogie" has a MASSIVE hip, great hocks, is very correct and she produces all those great qualities in her foals! She's produced a RES. 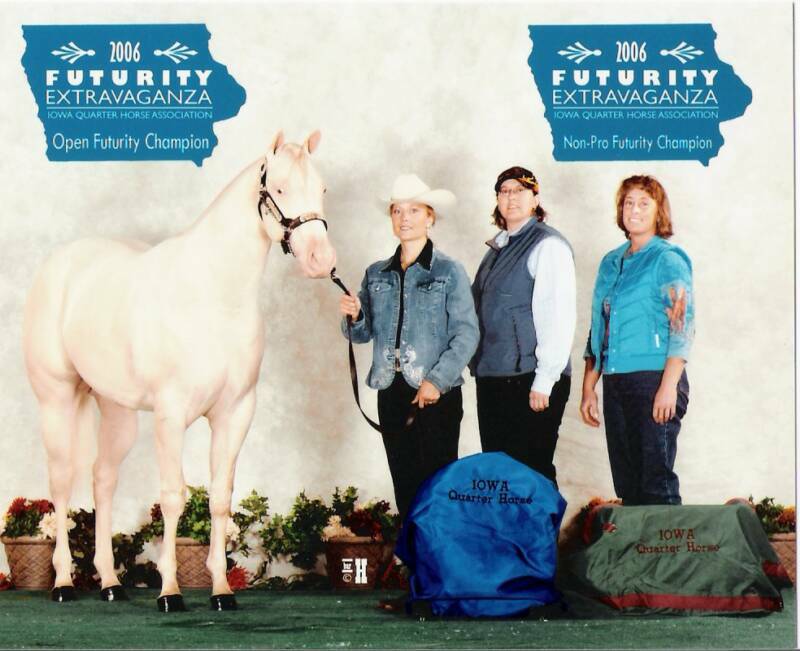 WORLD CHAMPION filly as well as MULTIPLE Futurity Champions. 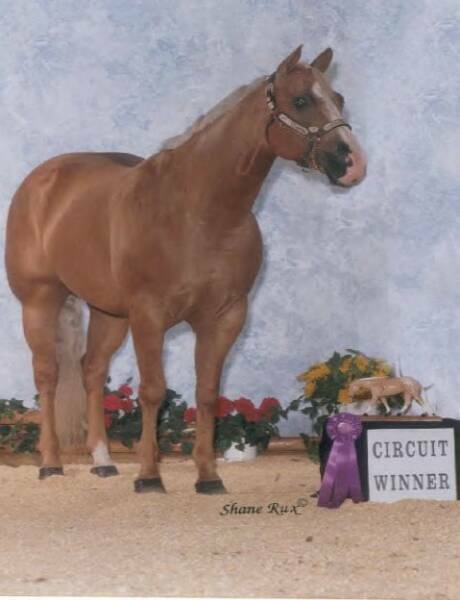 Her Sire is by Prior Fax (Superior halter, 5th High Point Stallion with 152 Halter pts) and her Dam is a daughter of Superior Halter producer, Margies Skipper. HYPP N/N. 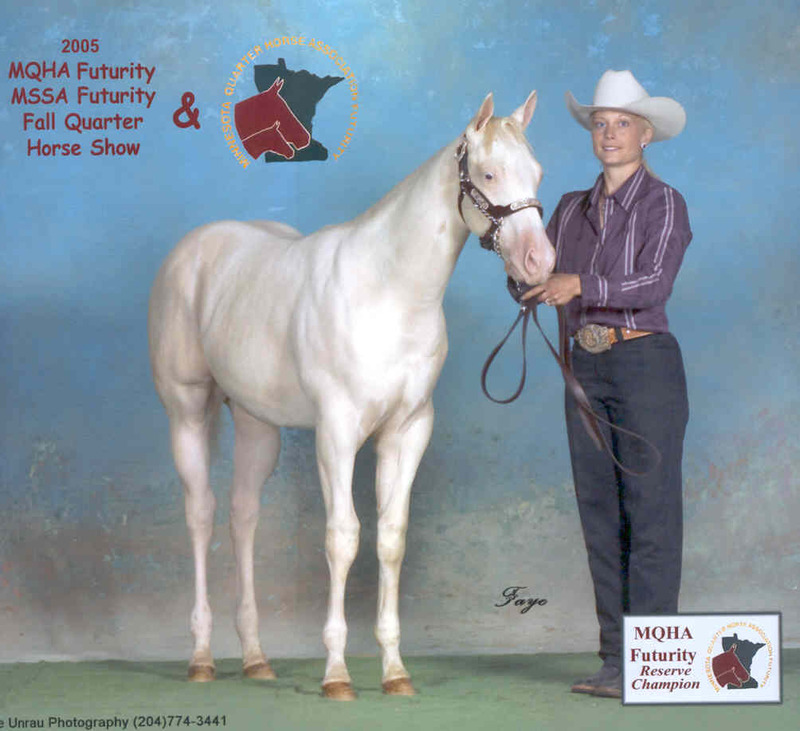 MN QUARTER HORSE FUTURITY: FUTURITY CHAMPION OPEN AND AMATEUR YEARLING STALLION.